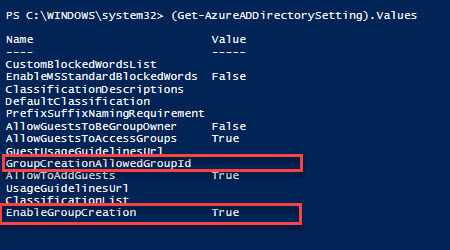 Microsoft added the ability within Azure AD PowerShell to control who can create Office 365 Groups. Let check version what we have now. Login to https://portal.office.com/adminportal/ and create an Azure Security AD group. 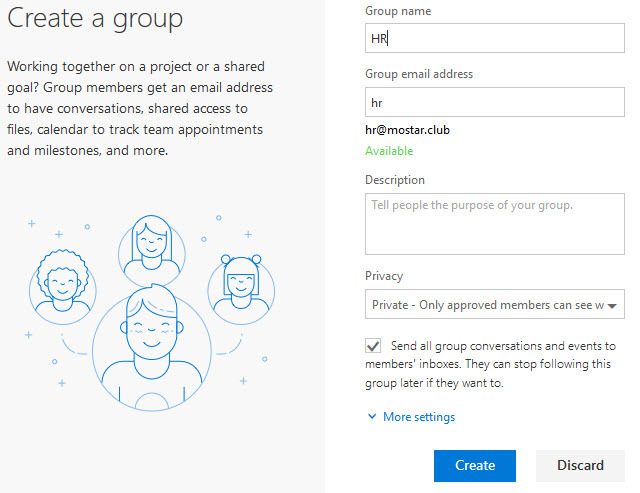 Only members of this group ill are able to create Office 365 Groups. 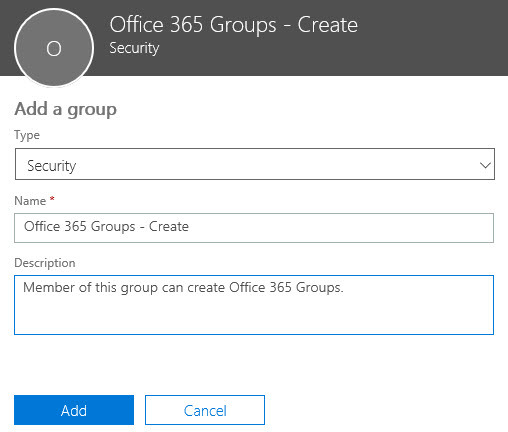 Only one security group can be used to control who is able to create Office 365 Groups. Run the following commands to change EnableGroupCreation and GroupCreationAllowedGroupId. Compare ObjectID with GroupCreationAllowedGroupId you created at the beginning of the article. At this moment, we disabled creation of Office 365 for all end users. Let login with our user. If he tries to create a group through New Command, he will get the following error message. How to revert setting of the original setting? I run this on my tenant. I was able to delete configuration but all client settings were unchanged. None of the users were able to create Office 365 event if we deleted the whole configuration. 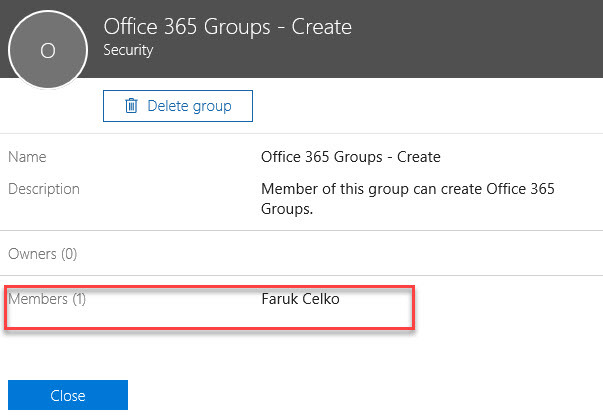 After running this command all configuration is reverted and all users can create Office 365 groups as was before.